MO-Labs is honored that the organizers of the AGACSE 2015 conference asked us if we could sponsor the prize sculpture for this year’s best work submitted to the conference. AGACSE Prize 2015 by MO-Labs: The Clebsch Diagonal Cubic Surface as a Laser-in-Glass Object. 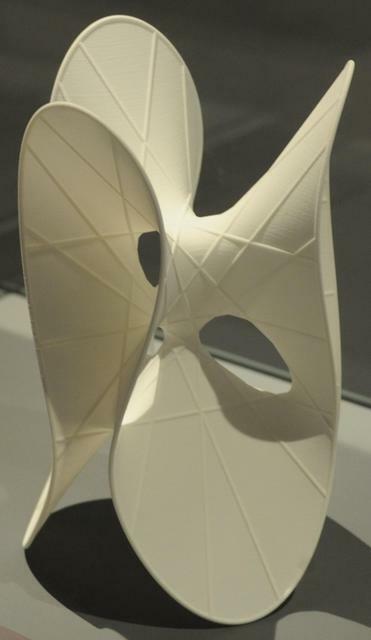 The Clebsch Diagonal Cubic Surface is probably the most famous classical mathematical model. 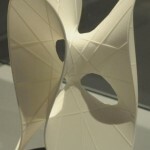 Its first version (handmade in plaster in 1872 for the German mathematician Alfred Clebsch) has become THE math model. MO-Labs has designed and produced more than 15 different modern versions of this classic which contains 27 straight lines dispite its beautifully curved shape. Among our Clebsch Diagonal Surface models is a version in 3d-printed plastic in one color and also a version with differently colored lines, and even a version with colored lines with two additional planes intersecting the surface in some of the lines. The prize is a laser-in-glass sculpture which shows this famous surface in a particularily fascinating way. Because of its materiality, it is possible to look through the surface and in this way to experience many of the geometric features of the surface at a single sight. 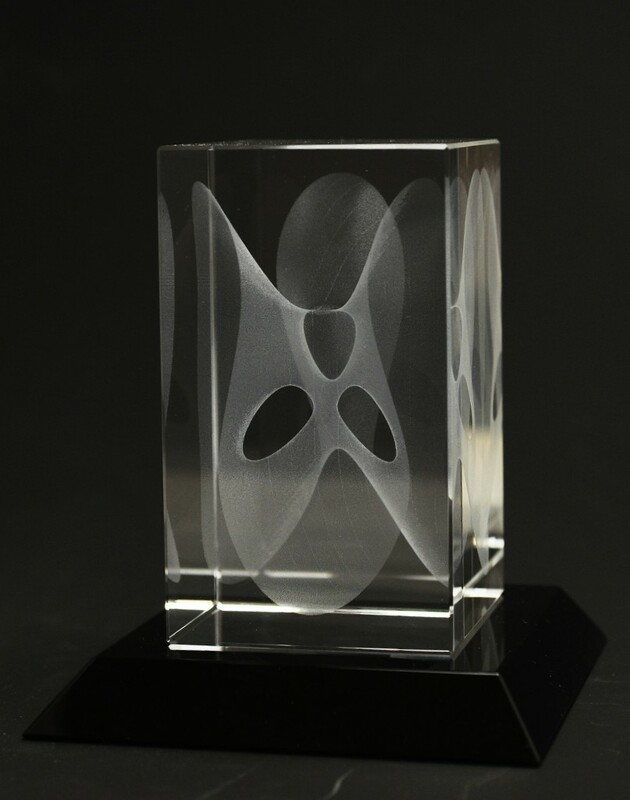 The laser-in-glass prize object is available at several sizes, just send an e-mail to us: oliver@MO-Labs.com. See also our laser-in-glass section. Feel free to contact us if you are interested in other versions of this surface, or in other mathematical objects. We have already produced many objects which are not shown on our website yet, so just ask. And if we do not have them yet, we will do our best to bring a new object to life!